In the dreams of his victims, a spectral child murderer Freedy Krueger stalks the children of the members of the lynch mob that killed him. The acting isn't always the greatest and it looks just the slightest bit dated, but it's still a really damn good movie. It's power lies in the fact that sleep cannot be avoided. Robert Englund as Freddy is flawless, a new kind of Boogeyman - a smartass. Freddy is hideously burned, covered in scar tissue and has all the fashion sense of a wino, but he's cool. Not content to simply disembowel his screaming victims, Freddy has to tease them a little first, flirting, humiliating or showing off. The cut version is used so that the distributors could use the US audio commentary track without needing edits. With Robert Englund, Mark Patton and Kim Myers. All releases have been uncut. 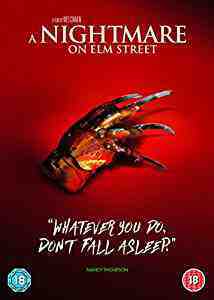 A teenage boy is haunted in his dreams by Freddy Krueger who is out to possess him to continue his murdering in the real world. The second in the series doesn't do a bad job. 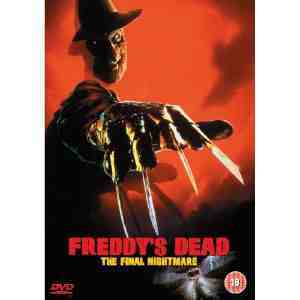 This time another family have moved into the house and the son is stalked by Freddy and Freddy becomes him. It's occasionally let down by some terrible ideas / effects (see the hell hound scene at the end / exploding budgie), but as a horror film it delivers - relying more on suspense and fear than body count and gore. This is the perfect horror film. It's scary, funny, has great suspense, good acting, great writing, good cinematography. What makes A Nightmare on Elm Street 3 a great sequel is that it has a lot of good horror scenes such as Freddy turning into a snake and trying to eat Kristen (Patricia Arquette), and it also has good suspense, and even a sense of adventure. Part 4 the series had become the Freddy Krueger show . Basically the character became bigger than the series and so the films became little more than vehicles for his wisecracks andways of dispatching moronic teens. Part 5 continues the theme. This film has a brilliantly surreal score and some great-looking imagery, and the silly campness of Part 4 is toned down a little. But it's all just a re-tread. Freddy's Dead: The Final Nightmare is a 1991 US horror by Rachel Talalay. With Robert Englund, Lisa Zane and Shon Greenblatt. This film was made just for the fans of Freddy Kruger. If you thought you knew all about him you were wrong unless you've seen this. A few unimpressive special effects with a not too thrilling story line but it will teach you about the mind of Freddy. A sight of throwing star in Freddy's leg was cut. Another throwing star pinning Freddy's sweater to a wall was also cut. Wes Craven's New Nightmare is a 1994 US horror by Wes Craven. With Heather Langenkamp, Robert Englund and Miko Hughes. Only exists in one uncut version. Wes Craven and Heather Langenkamp return alongside Robert Englund's Freddy Krueger in what Craven himself calls "The Definitive Nightmare", and indeed, it is. So much goes on in the 7th Nightmare on Elm Street entry that it could be expected one might find it confusing and trivial, but the film is smart, eerie and outstandingly well done by all those involved. 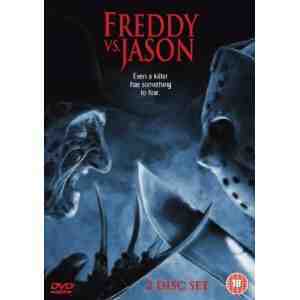 Freddy vs Jason is a 2003 Canada/US/Italy horror by Ronny Yu. With Robert Englund, Ken Kirzinger and Kelly Rowland. Freddy vs. Jason is a massively entertaining film. It's not a traditional slasher film although there are slasher elements in it. It's not a character driven film, either, except for the two killing machines. The entire film exists solely as background for the final showdown. Maybe for fans only though. A Nightmare on Elm Street is a 2010 US horror by Samuel Bayer. With Jackie Earle Haley, Rooney Mara and Kyle Gallner. 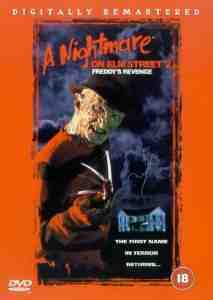 The remake of Nightmare on Elm Street only exists in one uncut version. Very mixed reviews as to whether the film is any good and how it compares with the original. Perhaps 2/3rds preferring the original. And then about 2/3rds enjoying the remake anyway.